The ISST begins 2019 with a new Executive Board which just had time for one meeting in 2018 after the election results were announced. I would like to thank Kerry Beckley, Chairperson of the Election Committee for running the election so efficiently. The Board has asked her to continue in this role and I am pleased to report that she has accepted: she will be assisted by Aleksandra Yaltonskaya as a member of the committee. I would also like to thank those who stood for election and were not elected. Thank you for being willing to serve the ISST. Although you were not elected this time this does not mean that your contribution would not have been of value. As you know, for several of the Board positions there was a line up of strong candidates. If you would like to work for the ISST and gain some experience of how it operates, we would consider using your services on one of our committees which we are in the process of reviewing and restructuring. Please let me know if you would like to do this. In the new Executive Board, we have a great blend of continuity and new energy: there are four members from the 2016-2018 Board and four new members. You can see photos of them and some further information at https://schematherapysociety.org/ISST-Executive-Board. Incidentally this is the 6th Executive Board to be elected since the ISST was founded in 2008 - you can see the members of our previous Boards at https://schematherapysociety.org/Past-Executive-Boards. Suzanne Vind, our new Vice President, has been contributing to the Case Conceptualization Committee’s important work as well as the work of the Quality Assurance Committee. She is already heavily involved in the organization of the INSPIRE 2020 conference in Copenhagen. Jeff Conway, our new Training Coordinator, is a close associate of our founder Jeffrey Young and has been Chairperson of the Case Conceptualization Committee and of the Supervisor Skills Development Committee. In these roles he has been at the forefront of developing resources for training in schema therapy. Alexandra Schosser, our new Research Coordinator is a former Vice President who took a leading role in organizing the Vienna conference in 2016. Susan Simpson, our new Secretary, has made a big contribution to the dissemination of schema therapy in Australia – though she’s now living in Scotland and leading the organization of our Edinburgh ENLIGHT event in May. She has also published important articles on schema therapy for eating disorders and is finishing off the editing of a book on the subject that will appear later this year and is eagerly awaited. We have four Executive Board members continuing to serve who were on the previous Board, myself and three others. Paul Kasyanik, after a term on the Board as Research Coordinator, moves to the challenging role of Certification Coordinator. He has been working closely with Joan Farrell for several months and is well prepared to ensure continuity in this important area of the ISST’s work. We continue to benefit from the energy and expertise of our Media Coordinator, Travis Atkinson who continues to work tirelessly on keeping members up to date via the website and listerve and is involved in the media aspects of ISST events (ENLIGHT 2019 and INSPIRE 2020) and in providing expert information about important aspects such as data protection. He does all of this while running a busy practice focusing on schema therapy for couples and has been a major contributor to the development of training and certification in this area. We also continue to benefit from the commitment of Eckhard Roediger, in the role of Treasurer, to keeping the financial and administrative infrastructure of the ISST in good working order. Towards the end of the previous term and on an ongoing basis he has been and is leading the transformation of our office infrastructure. This will be managed from 1st February by Volunt, a professional office management company, who have already made many constructive suggestions. We are expecting that this process will help to eliminate many of the administrative bottlenecks that we have experienced recently as our organization has grown rapidly. All this has taken a great deal of Eckhard’s time and energy over the past few months and will continue to do so. The contributions that Eckhard has made to the ISST are incalculable. He has been on the Board in one portfolio or another since the ISST was founded in 2008! He is just beginning his 6th two year term. It will be his last as the new ISST statutes limit the number of terms to three going forward. Eckhard’s long service is testament to his commitment to the ISST in ensuring that the office infrastructure in Frankfurt and the financial management are in good order and keep pace with the expansion of the ISST. We could not have done without him, and I am very grateful that he is on the current Board so we can focus on establishing the new infrastructure with Volunt. 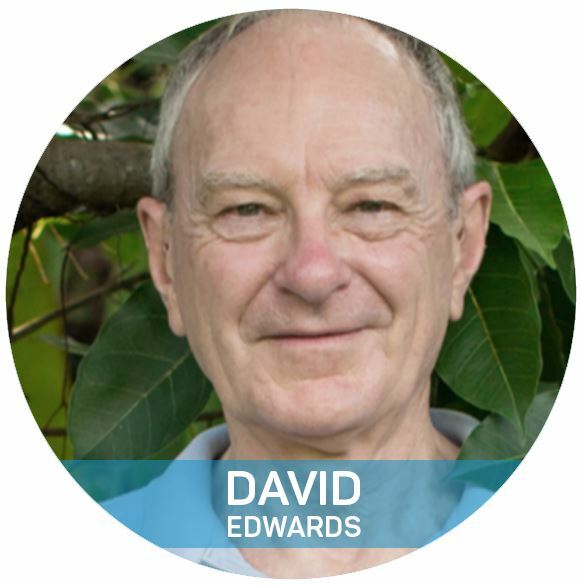 In addition to all this work for the ISST, Eckhard runs a schema therapy training centre, is a leader in the training of schema therapy for couples, and has found time to write several widely read books on schema therapy including Contextual Schema Therapy (with Bruce Stevens and Robert Brockman) that was published in 2018. As this new Executive Board looks forward to serving the ISST in the coming two years, we look back with gratitude to the three members of the previous Board who stepped back and did not stand for re-election. Remco van der Wijngaart, our outgoing Vice-President, is one of our inspirational leaders who has contributed to the dissemination of schema therapy by offering training in many cities and countries and who has been central to the development of several training DVD series that are widely used all over the world. As Vice-President he did a massive amount of work on the planning and running of the 2018 Amsterdam conference and we can thank him for contributing to an event that was a wonderful success with (once again) record numbers of attendees. Joan Farrell, our outgoing Training and Certification Coordinator, is another inspirational leader, whose contribution to the development and dissemination of Group Schema Therapy has been a major factor in the scientific credibility of the schema therapy model. With her partner, Ida Shaw, she continues to travel widely giving training in many countries. Joan continues to play a leading role in research and is one of the key players in a large international collaborative project on Group Schema Therapy, preliminary findings from which were presented at our Amsterdam conference and are already appearing in leading journals. Her several books on schema therapy which are all very approachable and full of practical insight are mainstays of our clinical literature. The most recent one, Experiencing schema therapy from the inside out (with Ida Shaw), appeared in 2018. It is hard to fully appreciate the huge amount of work Joan did during her three terms as Training and Certification Coordinator. As our society expanded, this role involved a great deal of administrative work and planning as there was a mushrooming increase in the number of applications for ISST certification and for approval of training programs. Witness to the scale of the work Joan has been responsible for is the decision to split her portfolio into two. Going forward there will be two Board members attending to what Joan was dealing with alone, a Training Coordinator and a Certification Coordinator. The demands on her were exacerbated by the fact that, as already mentioned, our office infrastructure was not keeping pace with the expansion of our Society. We hope that going forward these problems will be alleviated somewhat now we now have two Board Members involved and additional office resources coming on stream. Chris Hayes, our outgoing Secretary, has also been a leader in the field of schema therapy training. In Australia, in addition to presenting his own trainings, he has promoted visits to Australia of many leading schema therapists over several years. He has collaborated with Remco van der Wijngaart in the development of training DVDs (mentioned above) that are widely used all over the world and has been (and continues to be) one of the editors of another valuable training resource, the ISST’s Schema Therapy Bulletin. He also contributed to a 2018 research publication (with Susan Simpson and others) on the relationship between burnout and early maladaptive schemas. During his two terms on the Board as Secretary he has contributed in many other areas of our work including the organization of our ISST events, and I am sure he will continue to contribute to schema therapy and the ISST in these and other ways. Finally, I want to thank Angeles Hoffman at the ISST office in Frankfurt. She has been a central figure in our office administration. We have placed huge, even unfair, demands on her in the past year in particular. She has worked long hours well beyond the call of her responsibilities, to keep the ISST administrative infrastructure running. The decision to bring in Volunt was taken not a moment too soon. Angeles is playing a leading role in liaising with Volunt and will continue to play a pivotal role in our administrative system sharing her extensive inside knowledge and administrative expertise. We are fortunate to have her, and I hope that once the new arrangements with Volunt are up and running she will have a more normal kind of job! Angeles has been assisted by Nicole Haubitz, who processed the new membership applications over the last 2 years. Nicole did an excellent job too, dealing with the increasing number of members. In providing certification we contribute to your professional status and credibility. Our certification program is designed to enrich your clinical expertise from your first participation in a basic workshop training, to ongoing supervision, and the use of the case conceptualization form and other training materials designed to provide a guide to clinical practice. We provide many opportunities for networking and continuing learning, not only through our INSPIRE conferences and ENLIGHT workshop events but also through regular webinars and the Schema Therapy Bulletin. Our website is a rich source of information about schema therapy and the activities of the ISST. From it, members can download the Schema Therapy Bulletin and see recordings of webinars they missed and recordings of some conference Keynotes. Our Find a therapist feature enables you to make your services known as a schema therapist in training, a certified schema therapist, and/or as a trainer supervisor. You might like to check your own entry on this. When you log into our website https://schematherapysociety.org/ as a member, you will see your name on the top right of the screen. You will see a “View profile” button. This will take you to the information about you that is available on the Find a therapist or supervisor directory. If you have not yet entered the information I encourage you to do so. You can also edit and update it at any time. Our special interest groups (SIGs) meet online usually monthly. You can see the current groups at https://schematherapysociety.org/Special-Interest-Groups and apply to join any that interest you. We also encourage members to start new ones focusing on clinical issues relevant to the development of the schema therapy model. In the coming year we expect to be consolidating our capacity to deliver these services and to increase the efficiency with which we process certification applications. The foundational schema therapy model can serve as a basis for addressing an increasing range of clinical presentations. We know that our members are creatively working on expanding the model to deal with the particular challenges and obstacles presented by specific clinical problems. We look forward to presentations on these developments at our next conference in Copenhagen in 2020 and in the meantime invite you to use the resources of the ISST to support you in your work. The December solstice is always a time of huge contrasts between different parts of the planet. We just had a heat wave in Cape Town (very early in our summer) and I just saw TV coverage of snow storms that closed several airports in the United Kingdom. Whether it’s the summer solstice (in Southern Hemisphere countries) or the winter one (in the Northern hemisphere) it’s holiday time for many of us. But not for all - in China the main holiday is still a couple of months away and Christmas is not the focus of holidays in those countries where the calendar has not been shaped by Christian traditions. In South Africa, despite the range of religions we have, Christian symbols dominate the summer shopping season and are ruthlessly deployed for marketing purposes. Long ago, in Europe, particularly Northern Europe, elaborate winter festivals evolved in the dark and cold of winter as people hoped and prayed that the days would indeed lengthen and Spring would come again. It’s easy to imagine how, feeling cold and depressed, one might fear that the summer sun would never return. They just didn’t have fancy labels like “seasonal affective disorder” back then. The consequence is that, here in South Africa, we have been eating mince pies since October, and being subjected to a melée of Santa Claus outfits and Christmas carols in the supermarkets. I know I’m repeating a theme from last year, but I am again reminded that the Christian tradition invites a focus on a powerful image of parenting - a loving family providing a safe and secure attachment experience for an infant born into adverse circumstances. The Christian story of the birth of Jesus focuses on a child whose basic developmental needs are going to be met because of the strength, commitment, patience and gentleness of a mother and father who have the personal resources to deal with a newborn baby under difficult conditions away from home. Given the pervasiveness of threats to secure attachment throughout history, perhaps the power and lasting quality of this scene is simply that, at an implicit level, it has offered comfort and perhaps even lasting healing to those who would take the time to meditate and reflect on it. My own experience within the Christian tradition, and continuing struggles with my own early schemas, reminds me of the limits of this. In schema therapy we can aim to go several steps further, potentiating the healing process by working actively and experientially with images and early memories. I am reminded of an intervention developed by Antonio Madrid and colleagues in California and described in a 2012 article that moved me deeply when I read about it. It is entitled “The mother and child reunion bonding therapy: The four part repair.” They use it for behavioural problems in children where it was clear that the child never bonded with the mother from the beginning. There is a careful assessment to establish what interfered with the bonding at birth (family crisis, maternal depression, medical complications etc). This is used to plan a rescript in which the mother gives birth to the child in an atmosphere of love and support and where the bonding with the infant can take place in a wholesome way, without the obstacles that interfered with it when the child was born. Madrid and colleagues (2011, 2012) report two case series in which offering this treatment to mothers had a direct impact on the subsequent behaviour and physical health of their children. One of my colleagues used the intervention and was amazed by its impact. I’d be interested to hear from any other schema therapists who try it. Meanwhile, an article in Time Magazine that reminded me of the challenge of finding the balance between a bottom up therapy focus (changing early schemas by providing corrective experiences in the memory systems that hold our early emotional patterns) and a top down therapy focus (building new schemas by changing patterns in current behaviour). Media interest in “5 chimps theory” (http://time.com/4830653/10-things-successful-people/?xid=newsletter-brief )seems to have come from interviews with Naval Radikant, a successful entrepreneur from Silicon Valley in California (e.g. see http://www.killingbuddha.co/blog/2016/2/19/naval-ravikant-on-who-he-admires ). It’s based on studies in ethology - perhaps some of our members know the original study? The basic finding is that you can make a lot of predictions about the behaviour of a chimpanzee based on knowing which five other chimpanzees it mostly hangs out with. This makes a lot of sense. We know you can’t help people much who are in chronically abusive environments. We have to help them get out. In Kubany’s research in Honolulu on Cognitive Trauma Therapy for Battered Women with PTSD (Kubany et al, 2004), treatment was only offered to “battered women who are not currently in an abusive relationship, have no intention of reconciling with an abusive partner, and are considered safe” (p. 5). On this basis, they were able to bring about clinically significant change in the women they worked with. Similarly, it’s well nigh impossible to help someone overcome an addiction when most of their friends and associates are active addicts. You will probably have to help them change their friends and social activities. Similarly, there is a lot of research showing that marital discord is not only associated with depression but probably a significant causal factor in depression. I am always particularly dismayed when I hear that someone in a discordant marriage who is depressed has been prescribed antidepressant medication. How can that help? That doesn’t necessarily mean if you are depressed you should leave your marriage and look for a different chimp but it does mean that the discord in the relationship needs attention. To this end, schema therapy for couples elegantly combines bottom up schema level work (with each partner) with top down work with a here and now focus on mode cycles and processes within the relationship, within and outside the therapy session. 5 chimps theory suggests that not only will we be happier if we get out of the orbit of mean and abusive people, but that we should seek to spend more time with balanced and caring ones. As Radikant puts it, “You should choose your friends very wisely. You shouldn't choose them haphazardly based on who you live next to or who you happen to work with. The people who are the most happy and optimistic chose the right 5 chimps.” Helping our patients see and accept this is often a challenge. Practical and financial problems may pose obstacles, as may longstanding beliefs about loyalty and obligation. In turn, those beliefs may be rooted in complex enmeshment and deeply co-dependent relational schemas in which a child has been trained to pity and take care of a self-pitying parent. Then it is difficult to bring about top down change without bottom up work at the early schema level. It’s a central pillar of schema therapy is that it is often impossible to bring about behavioural change if we don’t change the underlying schemas. I am still taken aback when, despite what looks like effective work with imagery rescripting and reparenting within the therapy relationship, a patient’s Vulnerable Child remains trapped within the orbit of memories of abusive, uncaring and neglectful parents. As a therapist, I easily get bogged down when patients can’t extricate themselves from dysfunctional and abusive relationship situations. When that happens, I am going to tell them about 5 chimps theory. It might help to motivate them. But I also understand that they may not really get it unless we can access the underlying maladaptive schemas and bring about deep schema change. As I suggested. in my workshop in Barcelona, the problem is exacerbated by dissociation. One child part may be able to trust and respond to reparenting but other less trusting parts remain to be uncovered and, hidden in the background, undermine progress until we can find them and invite them into the reparenting experience too. So, there’s plenty of work to do and being a schema therapist is a lifelong learning process. So, I wish you all in the schema therapy community the very best for the turn of the year, and, if you are taking a summer or winter holiday, enjoy some well-earned rest and relaxation - and find some friendly chimps to hang out with. Kubany, E. S., Hill, E. E., Owens, J. A., Iannce-Spencer, C., McCaig, M. A., Tremayne, K. J., & Williams, P. I. (2004). Cognitive trauma therapy for battered women with PTSD (CTT-BW). Journal of Consulting and Clinical Psychology, 72(1), 3-18. Madrid, A., Morgan, A., Taormina, A., Laforest, L., & West, E. (2012). The mother and child reunion bonding therapy: The four part repair. Journal of Prenatal and Perinatal Psychology and Health, 26(3), 165-184. Madrid, A., Pennington, D., Brown, G., & Wolf, M. (2011). Helping asthmatic children through bonding therapy. Journal of Prenatal and Perinatal Psychology and Health, 26(2), 65-85. I appreciate the confidence you have shown in me in electing me as President for the next two years. It is an honour and a privilege. As outgoing President, Eckhard Roediger, showed at the Vienna conference in July, our Society is going from strength to strength and I hope I can contribute to promoting that further. I am very much aware that I am part of a team and that we have great continuity as Eckhard has taken over the considerable responsibilities of the position of Treasurer (and legal issues), Joan Farrell will be continuing her sterling work in the Training and Certification portfolio, Travis Atkinson, who made such a massive contribution in developing and maintaining the website and promoting the Vienna conference, will continue in the Public Affairs portfolio, and Chris Hayes continues to contribute his experience as Secretary. I also have the pleasure of welcoming Remco van der Wijngaart (Vice President) and Paul Kasyanik (Research and Scientific Issues) to the Board. We are a truly international organization and it is good to see this reflected on our Board with members from Germany (Eckhard), the Netherlands (Remco), Russia (Paul), the USA (Joan and Travis), Australia (Chris) and South Africa (myself). I would also like to express my appreciation to the outgoing Board members Alexandra Schosser, Kristin Zickenheimer and Eshkol Rafaeli for their significant contributions to the running of the ISST during the past two years. I also thank those who made themselves available in the election but who were not elected this time. Being a member of the board is only one way of contributing to the Society. Many other members are involved as part of Special Interest Groups (see http://www.schematherapysociety.org/Special-Interest-Groups ) or on various committees appointed by the Board. If there is an area you would like to be involved in please let me know. I have been involved in editing a book that focused on the role of case based research in developing clinical knowledge as a complement to running clinical trials. In it, there are several references to Gordon Paul’s (1967, p. 111) oft quoted question: “What treatment, by whom, is most effective for this individual with that specific problem, and under which set of circumstances?” This is a call to an idiographic approach in science and clinical practice, one that recognizes the limitations of general principles that apply to the average person (who of course does not really exist at all). It reminds us that every case is different and that what worked well for one client may not work at all for the one I am sitting with now. In the same spirit, schema therapists will be asking, “What approach, what focus, what intervention, will meet the needs of this client today?” We also know that whatever we have planned may not be appropriate when the client arrives in a crisis or with unexpected emotions in the foreground. In facing these complexities, the schema therapy model reminds us that schema therapy is not just about specific techniques, but about how we work with the case conceptualization to choose interventions that will help the client on a journey to finding a less distressed and more meaningful life. We know that the conceptualization will evolve and change over time. For some clients, emotion focused work and imagery rescripting may be the heart of the therapy. But for others we need to focus on building the Healthy Adult because, without that, emotion focused work may get little traction. Time and again, with a complex case, we may discover our conceptualization has failed to address the client’s problem and we are guided to go back and look even deeper! It is clinically focused discussions of these kinds of challenges, and the creativity of the therapists at the front line, that allow schema therapy to evolve and grow to address ever more complex clinical presentations. I have been privileged to see this in action in the meetings of the Couples and Trauma SIGs and I am sure members of other SIGs have the same experience. The ISST is a wonderful meeting place for supporting and promoting these developments, at its conferences and summer schools, through its SIGs, the Schema Therapy Bulletin, and other forms of networking and through the structure it provides for maintaining standards of training and certification. I look forward to seeing how this creativity continues to infuse our Society over the next two years.